This workbook is recommended for every electrical classroom and every electrician preparing for an electrical examination. Contains 15 exams with 250 motor questions with answers on perforated (easy to remove) pages for the classroom instructor. This book is also included in Journeyman Exam Combo #3 and Master Combo #3. Do you know the difference between: Consumed and dissipated, eddy current or hysteresis, wound rotor or synchronous, watt or volt amp, input or output, dynamic or regenerative braking, split-phase or universal motor, overload or overcurrent, conduction or induction, rotor or stator, variable or adjustable speed, slip or synchronous, interpole or field pole, lap or wave winding, repulsion or capacitor motor, type A or B rotor, code letter or service factor, solder pot or bimetallic, branch circuit or feeder, etc. You better BEFORE ever taking an electrical exam! The electrician will receive everything in Journeyman Combo #2 plus the Electric Motors Workbook. Often requested for those preparing for the journeyman exam. Save $32.00. 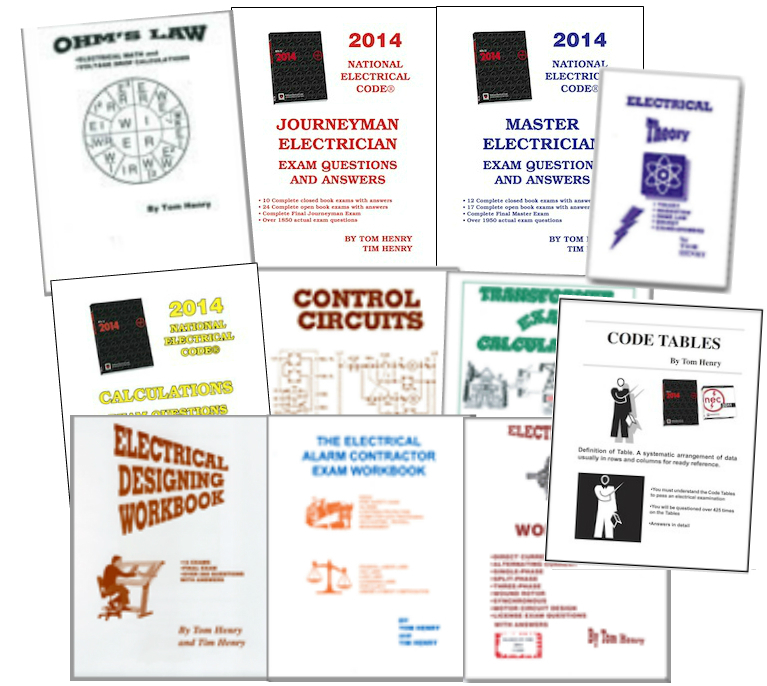 Tom Henry's big 11 book set of study-aides for the electrical contractor which includes burglar and fire alarms. 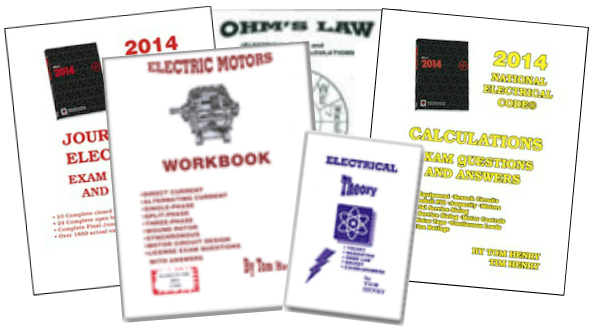 Includes Administrative Law questions and the Electric Motors Workbook. Save $101.00 on this combo.